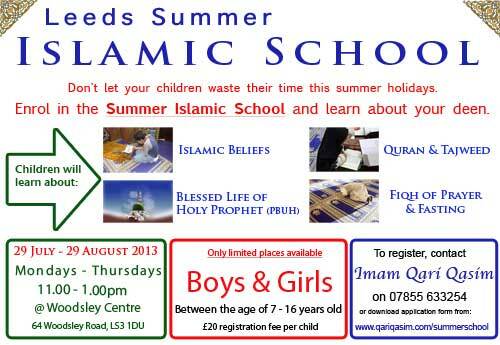 It gives us a great pleasure to announce the details of Leeds Islamic Summer School 2013. After a great success of previous years' summer school, we are pleased to announce that another summer school will take place in 2013 summer school holidays. 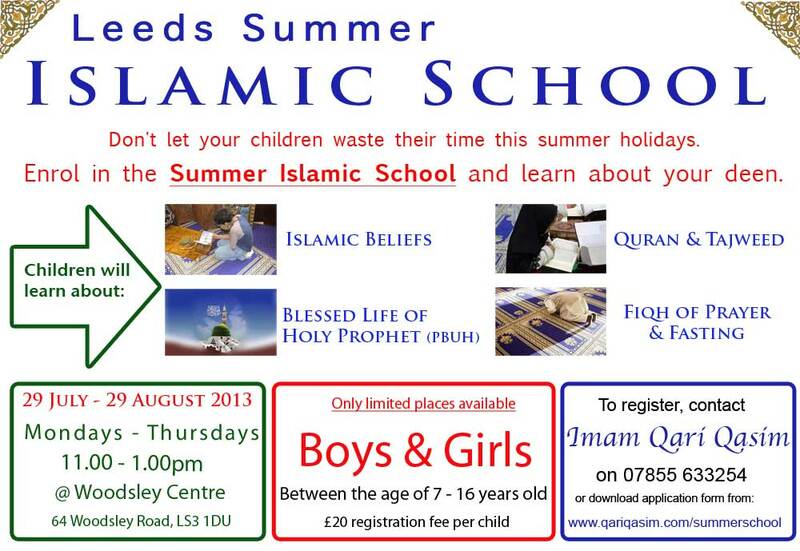 Leeds Islamic Summer School 2013 will provide great opportunities for the young Muslims to spend their summer school holidays in a secure and spiritual environment. Places are limited and therefore, please register a place for your children early. The Summer School is suitable for boys and girls between the age of 7 – 16 years old. The cost of summer school has been reduced due to sponsorships and donations from other brother to enable the parents to use this service. This entry was posted in Leeds Islamic Summer School. Bookmark the permalink.